Being your own boss and having ample spending money – now, that seems to check all the right boxes for a perfect career, right? Day trading is one such amazing career option for the right person under the right circumstances. Nevertheless, to be successful at day trading like professional day trading expert Todd Rampe, you would require certain personality traits and characteristics. 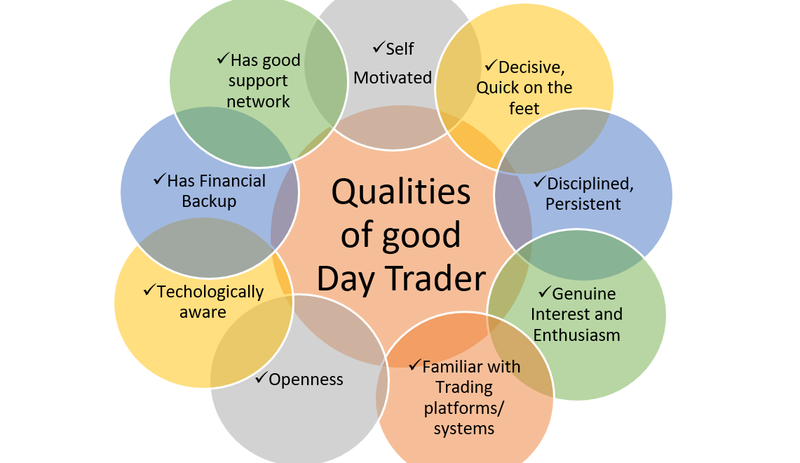 Here’s a quick look at the qualities that distinguishes successful day traders from the unsuccessful ones. So, how many of these do you have in common? #1 Self Motivated: Day trading is a career wherein you typically work from home. Hence, it is highly imperative to possess a personal independence and never-say-die attitude in order to thrive in the self-starting nature of day trading business. #2 Quick and decisive: The bulls and bears constantly wrestle for control in the market, causing it to change within a matter of seconds. Hence, deliberation, second guessing, and panic could very well spell doom for you. A good day trader must have a quick wit, “constant vigilance”, and be decisive as well when coming across good buy or sell opportunities. #3 Disciplined and Persistent: The downside of being your own boss is that you would not have anyone dictating your hours, and how to spend them. So, in order to become a good day trader, it is important to stay committed to long hours of research and preparation, identify and stick to profitable trading strategies, and stay on task during the trading sessions. #4 Genuinely Interested and Enthusiastic: Even before wading into the financial markets, good day traders would have a natural inclination and enthusiasm towards finance or business. Hence the day trading of stocks, commodities, bonds or other securities would not seem like a daunting task for them. #5 Familiar with Trading platforms and systems: Best day traders have the knack to instinctively understand the forces that drive the price movements in the market, and would also be familiar with the tools in a modern trader’s arsenal like the online trading platform and system. #6 Open to Try new things: Good day traders would continuously try to improve their trading strategies and try to reinvent their methods from the new knowledge gained every day. #7 Tech literate: Although not at the level of Zuckerberg’s proficiency, good day traders would be familiar with the latest and advanced trading systems. They would also be willing to try out newly unveiled platforms and take advantage of the potential benefits from them. #8 Has Financial Backup: Having a financial cushion plays a big role in easing out the stress inherent with day trading. You don’t need to be Warren-Buffet-Rich, but you should have enough funds so that you can afford to lose a little during trading. You should never have to dip into your rent money or grocery money after encountering any losses in day trading. #9 Good support network: Man is, after all, a social being. A good trader would rarely be a loner and would possess a healthy network of friends and family who are supportive. Some of the best day traders also take a keen interest in other hobbies and projects and spend a lot of time on those as well. If you nodded a yes to most of the above, congratulations! You are now deemed fit to get into the business of day trading, wherein veterans like Todd Rampe has already proved their mettle. Go ahead and give it a try today! After years of trading and experiencing the ups and downs of the marketplace, Todd Rampe was determined to find the right pathway to maximize his success. After losing a considerable amount of money when the Dot Com bubble burst in 2000, Rampe proceeded to restart his thinking process about how he approached trading and leveraging his wealth to obtain better outcomes. Starting in 2004, Todd Rampe created a day trading chat room called eminiWealth which helped open his eyes to the mindset of day traders and how they pursued their fortunes. He discovered many day traders at the time were making poor decisions and had little in the way of a trading plan. The most consistentfactor that emerged was that most people did not pull the trigger at the right time to take advantage of the opportunities that were out there. Even when coaching traders directly, only a fraction would actually take action and jump on the opportunities available. One interesting development from this experience Rampe noted was that even when presented with reliable indicators, most traders shy away from them, and for an understanable reason. Any indicator that is free cannot be any good. That notion was so stuck in the head of most traders that they could not act even when it was in their best interest. Only when confusing indicators and information was removed did the traders begin to act and that’s how Rampe came across the idea for Top9Trader. This automated software system does not use visible indicators, it only shows the most basic information a trader needs: the entry price, the profit target or goal and the stop price. By pulling away information and only leaving what is absolutely necessary for the trader to act upon, it encouraged more people to start trading with confidence. By 2010, the Top9Trader software had been heavily tested and released. The result was a smashing success. It’s no surprise Todd Rampe managed to build upon this success to create the Pro9Trader system now in use by day traders around the world. Built on the same principles of providing just enough information to evoke action, the Pro9Trader method works precisely because it gives the trader what they need and nothing more. Sparked into action, people overcame their fears and began learning from their experiences. Even if their first few trades did not live up to expectations, it became easy to spot the signs which point to bigger moves. It has to begin with practice and moving people into trading so that they can build upon their own experience and use the information to take action. Todd Rampe’s uniquely-clear methods, based on his own experience and years of experimentation, lead to the current apex of his creations:Pro9Trader. For those who have been struggling with day trading and looking for the right guidance, this program will allow you to get going with the right information right away, and truly excel in day trading. When it comes to managing your money, most programs focus on how to make the most of what you have. However, the Pro9Trader approach by Todd Rampe takes it a step further as you learn how to create new income streams and seize opportunities while minimizing the risk to what you have already earned. Managing your money comes down to making the most informed decisions about how to generate income at maximum potential with the lowest risk possible. While risk is always part of money management, you can limit its effect by using the right information to make your decisions. That is where Pro9Trader comes into play. Pro9Trader has already been celebrated for its unique take on futures trading.It’s a simple, straightforward approach that has helped thousands of people make more informed trades and experience greater success. In creating a simpler, more effective conveyance of information, Pro9Trader has helped traders enter the world of day trading where substantial profits can be made in just minutes. While day trading is risky, the potential benefits are such that thousands of people are now engaging in this form of trading to earn extra profit. It’s no secret that day trading relies on the volatility of the markets at the micro level. Basically, there are natural fluctuations that at first seemingly have no pattern or predictability which is where day trading operates. However, thanks to the Pro9Trader system by Todd Rampe you can cut through the information overload and minimize the risk to each trade decision that you make. Proper management of your money is not just about what you can make, but how much you can keep by trading smart with the right information. 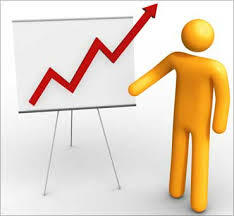 The managed approach to investments and trading is what makes this particular system so powerful. When it comesto proper money management, Pro9Trader will guide you through the risks and the possibilities that you face on a daily basis. The approach is straightforward, the risks are spelled out and the potential is there for you to make the most with what you have. Leveraging your money is the essence of the Pro9Trader system as it provides you with ability to maximize your earning potential. Todd Rampe spent years developing a system which invovles Fixed Fractional Money Management. This is a formula where risk is given its proper perspective so that traders can make the right decisions about when to stay in and when to cash out. Overall, Pro9Trader offers a unique and dynamic viewpoint on the risks that are involved with day trading so that traders can protect their holdings while expanding their income streams. By stripping away the clutter of unnecessary information, Pro9Trader also adds clarity to those who want to really understand what’s happening with their money. 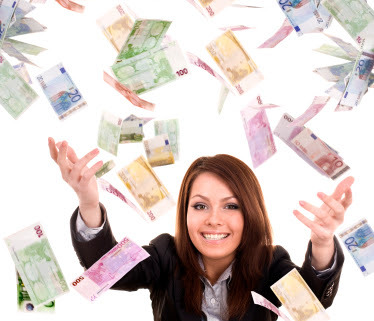 Business women with flying money. Isolated. Day trading is a high risk but richly rewarding investment opportunity. The strategy used by a trader is what determines the outcome of the investment. It does not matter how long you have been in the trade; you just need an efficient trading platform to actualize your trading prowess. Fortunately, Todd Rampe reveals rich trading secrets using the Pro9Trader trading program. You’ll no longer be groping in the dark, trying to find your way through the endless, confusing day trading investment methods. It is amazing to learn how simple it is to trade successfully using Rampe’s program. In addition, you have this trading guru’s experience to guide you. The trading guru gladly shared his day trading experience in a recent interview. He confirms that the trading challenges he experienced while trading led to the invention of the Pro9Trader trading program. The initial years of his venture proved to be frustrating until the time he learned the trading secrets and started making profits. Traders learn that the initial expectations and the reality in the trading market are completely different. Rampe lost a significant amount of money in the market, but he used this set back as the learning experience that made him change his trading strategies. I was surprised to see that Todd Rampe revealed his unedited trading charts to others in a day trading webinar recently, showing that the method he teaches people, does in fact happen on a very regular basis. The other traders on the webinar could watch his indicators set up and perform exactly as described, and is the secret to making unbelievable profits, when followed to the letter. The day trading expert laments that most investors usually trade without a plan. The trading guru interacted with traders to identify their weak points and show why a majority of them hesitated to take action and “pull the trigger”. Becoming overwhelmed with confusing indicators is the most common reason for traders, especially new ones, to sit on the sidelines and not participate. This realization made Todd develop a trading methodology that is very easy to follow, where he lists what he calls the “Rules of Engagement” or, the simple steps to follow in order for one of his trades to qualify. In as much as you need speed and accuracy in day trading, Todd Rampe avers that you need to adapt to the dynamic environment of financial market. It is a jungle out there, and in order to survive, you need to be fit to survive. The financial market is highly volatile and no matter how much research you do, things can go wrong at any moment. However, remember Todd lost a great amount of cash too. You will not be the first one to crash and survive. So if what you’re currently doing isn’t working, change the tactic and move to another location where the grass is greener. Nonetheless, when adopting to the financial markets, do not let your guard down, stick to the trading strategy, and follow Todd’s simple step by step approach to trading the futures markets. Day trading is a lucrative investment deal; follow the guidelines of an expert, Todd Rampe. How are day traders different from any other market traders? While swing traders hold their securities for days, the same way investors hold theirs for years, day traders shut out their positions before each day ends and repeat the same routine the next day. Because of this nature of day trading, it reduces the risk of having any misfortunes overnight that will result to significant losses. This should catch your interest in trading. But there’s a bit of a downside. This way of working out positions and securities have to work out within the day or you’re in the same crowd that holds onto a position with hope. Hope is not an indicator. If you’re really interested in becoming a day trader, then listen up, and continue reading. Todd Rampe, famous for tutoring day traders is also known for developing the Pro9Trader system, and mentions this in one of his articles. Well, apparently, there’s a lot you still have to know about day trading. And this is not something you can learn overnight. Those things may seem easy to understand, but they’re easier read than learned. You understand that those three things all refer to numbers right? Trading is generally all about numbers in the first place. But if you know the secrets of being a productive day trader, numbers become your best friend! Day trading is a quirky business. The amount of money earned depends on how to successfully execute a large number of trades with small profits. This is why decision-making should be quick. Todd Rampe also wrote in the same article: ‘the key could be right in front of you. But you’ll never know, nonetheless be able to use it, if you don’t pick it up.’ That is why utilizing your assets and taking every opportunity is essential. Even if you’re eager enough to begin day trading, without adequate knowledge on the field and the necessary skills of a trader, it would not be wise to do so. You’ll only end up wasting time, and effort. As what I’ve already said, day trading is not something you can learn overnight. Though educating yourself might be effective, you will have to take some time before engaging yourself in the trading world. You have to understand that it takes fortitude and patience in order to become a competent day trader.